Yes, failure is a strong term. One friend advised me to rethink it and the negativity associated with it. She quoted Dr. Wayne W. Dyer, who says, “Remind yourself that when things didn’t go as planned, you didn’t fail, you only produced a result.” And yet — call me overly serious — I don’t want to coddle myself. I would rather face the fact of failure, and then, when I’m ready, push beyond it. Marlene Farrell, left, has experienced both the highs and lows of running competitively. One definition of failure in the dictionary is “a state of inability to perform a normal function,” as in a kidney failure. A second definition is “a fracturing or giving way under stress” like the structural failure of a bridge. When it comes to endurance sports, both definitions are valid. 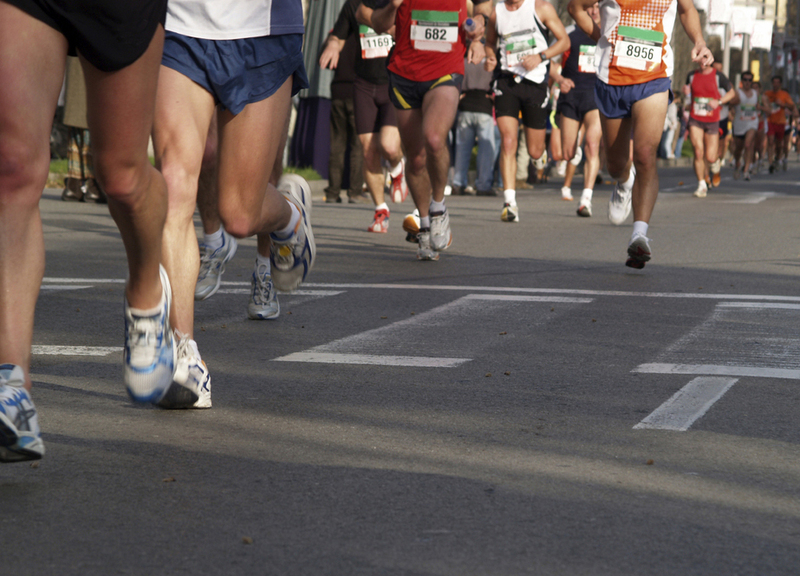 A runner may finish the race, and this is viewed as success to spectators and other competitors. 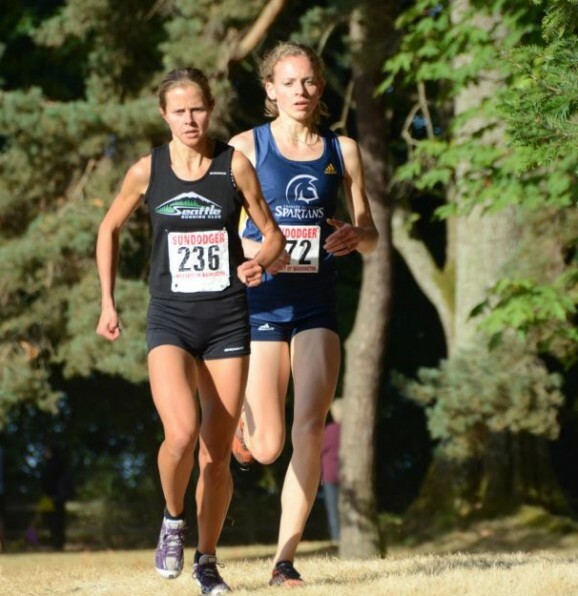 But if the runner did not meet her own expectations, she will be disappointed in her “inability to perform” and her “giving way under stress.” Failure in sports has a highly public aspect (for instance, when the expected winner is beaten), but it is quintessentially private and each athlete handles it differently. I have been struggling to understand what motivates me to train, to race, to sometimes succeed and to sometimes fail. I’m trying to understand the mystery that is me as I am confronted with the tumultuous feelings I have after a bad race. I also want to know how to be for my children as they start to compete in various sports. What I do know is that I like to set lofty but achievable goals. It is not enough for me to run a certain mileage or complete a certain trail route. I must run well, by meeting the demands of the mountains or the race, and testing my limits. 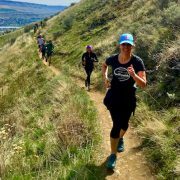 Finishing a race or long trail run yields deep satisfaction. These pinnacle running moments have a trickle-down effect on my ordinary life, because to get there I must run daily. Running invigorates me so I can meet the demands of my family, work and volunteering. Running centers me so I feel strong and capable and self-aware. My womanhood is tightly intertwined with my self-portrait as a runner and that gives me a bit of grace and dignity where otherwise I would feel doubt and clumsiness. These are all real benefits of my chosen lifestyle. But then why do certain races, the ones that veer off the course of my expectations, make me angry and resentful? Why do I fall prey to crushing unhappiness, even if only temporarily? Would it be healthier to avoid scenarios that lead to a grim sense of defeat? I don’t want to avoid competition. I need and admire my fellow racers, and I thrill to battle it out during a race. I remember running a minimally publicized 5km race one rainy May day. After me, the next racer was an 11-year-old boy about four minutes back. Although I tried to race the clock, I was not happy with my time. I hadn’t heard pounding pavement behind me to force me to pick up the pace. The victory left me uninspired. 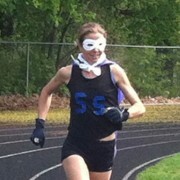 Perhaps I am immature and should not dwell on myself after a bad race. Recently, my husband and I both ski raced. My race was an internal struggle against the monotony of laps, feelings of ineptitude and worrying exhaustion. My husband raced really well. After I gave him a weak congratulation, he asked me, “Can’t you be happy for me?” I chose not to answer rather than admitting I couldn’t, at that time, be happy for anyone because I was in the throes of my own misery. The misery abated a couple hours later like a storm blowing away. I take a risk because races expose me. In other areas of my life I prefer to keep more to myself. A race can only be run well if I am honest and working hard from the gun. My instinct overwhelms any chance of holding back for strategic reasons. I put myself at the mercy of the race and my own preparedness. I usually know long before the end whether the race will turn ugly but there is no stopping, just visible disintegration. A bad race is like bloody wreckage to me, something I may not want to look at, but it’s there all the same. In 2009, I drove 6.5 hours to Eugene, Ore., to run a race that would take little more than a half-hour. I had put in specific training hours to set a new 10-kilometer personal record for myself. 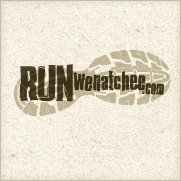 I had combed the web for a competitive course and honed in on this one, Butte to Butte, in Runners’ Mecca. This course had the quirk of a King and Queen of the Mountain first mile. I got to the top, looked at my split and was disgusted with my time. I subsequently sped up so much I was almost falling downhill, figuring I’d worry about my knees later. Which was fine until I hit the flats on rubber legs and still had over half the race to go. I finished with a mere 5 second PR, second place overall and a hooded sweatshirt. But I was on the wrong side of 37 minutes and so very far from the glory of a finishing kick. The memory of the physical agony and the shock of my failure had me dazed, cooling down in a sea of athletes. It was a long 6.5-hour drive home. I am examining my feelings of failure to see how I can change myself. I know I am capable of changing and being more relaxed after an event. I can sign up for some events based on their beautiful courses and reserve my intensity for a few key races. But I also think it is OK to let myself feel real disappointment. To free others from having to deal with me, I could quarantine myself until I’m “normal.” I can rise again from my own ashes. That failure can and is my catalyst for improving myself, returning to the challenge more prepared next time.